Tales of snake women, cinematic phantoms and apocalyptic comets filled the small meeting room at one of the top floors of Fudan‘s Guanghua Towers, when I took part in a panel on the role of the Uncanny in Chinese literature and film organized by Charles Laughlin and Zhange Ni at this years ACCL conference in June. Our aim was to discuss how fictional narratives might make use of uncanny elements to push the limits of scientific and enlightenment discourse. First speaker Jessica Imbach from University of Zurich, talked about ambiguous gender roles in republican era ghost stories from Shanghai writers such as Zhang Kebiao and Xu Xu. Kenny Ng from City U. of Hong Kong showed us beautiful film clips from 1930s Hong Kong ghost movies, Yizhi Xiao from Brown University found supernatural elements in the otherwise rational and scientific comet writings of early 20th century Chinese sci-fi and I presented my analyses of uncanny places as sites of both trauma and self-realization in the works of Can Xue (read abstract). Other presenters included Ping Zhu on Lu Xun and the ‘Ghost question,’ Shuyu Kong on ghosts in Liu Suola, Heng Chen on Anti-rationalism and Lu Xun’s take on fiction, Liang Luo on the legend of the White Snake, Vivien Wei Yan on Qing detective stories, Mengxing Fu on Wang Tao’s Zhiguai writing, Peng Liu on Buddhism in Lü Bingcheng’s writing and Lei Ying on the transformations of Guanyin in Li Yu’s fiction. 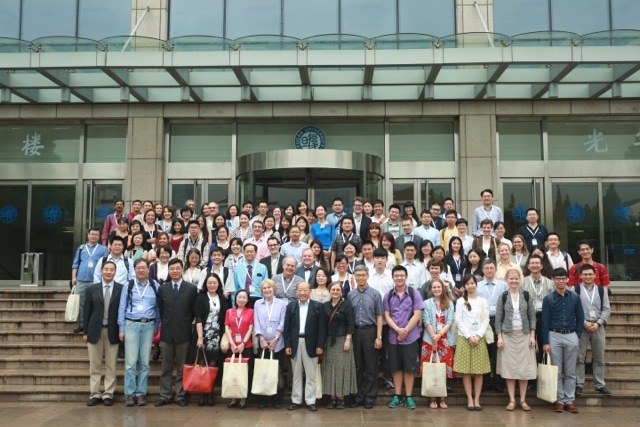 I want to thank the organizers (not least Shengqing Wu and the student assistants!) and participants for a wonderfully inspiring conference.